Art is beautiful. Sometimes, we find an artistic beauty even in the simplest products like coasters. 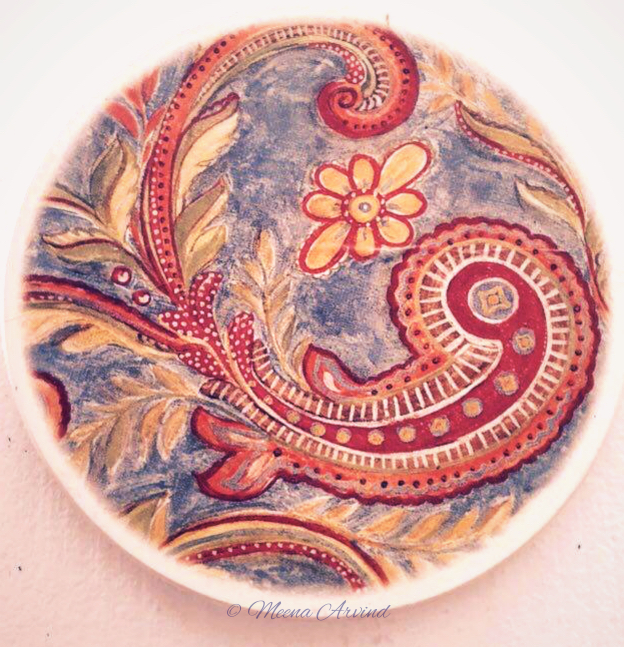 This is one with the beautiful floral pattern designs in this coaster. This was taken on a white background and I used the image editor to help focus the tilt on the pattern itself.